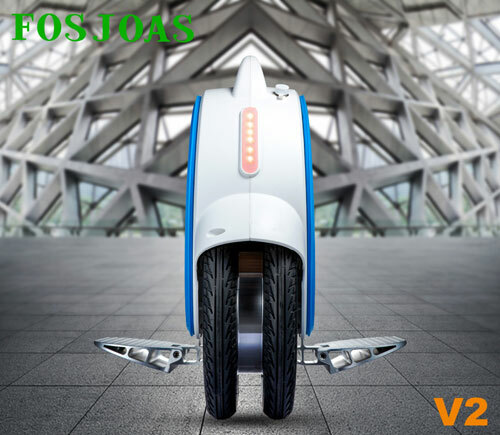 FOSJOAS self-balancing twin-wheeled intelligent scooter V2 is the star product among FOSJOAS's various types of intelligent self-balancing scooters. V2, with super battery duration could even rival automobiles. The cool black and white colors could not conceal its superior functions and performance. V2 could unbelievably continue to run for 40 km, thereby demonstrating its super sportive genes. Nowadays, there are many new types of electric self-balancing scooters being produced and they have won much attention. However, the classic twin-wheeled scooter V2 has never been forgotten. The vehicle with long battery duration is a legend in FOSJOAS's history. It has made undeniable contributions to spread the fame of Moben Global Inc. in the market. FOSJOAS has achieved great success globally but it has never got slack at producing quality products. The resolution and perseverance have driven the company to march through thick and thin. When people choose electric self-balancing scooters, they will take two factors into consideration, convenience and energy saving. As a star product in FOSJOAS family, V2 carries forward the good traditions of Moben Global Inc. As there are no fixed criteria for intelligent scooter's material or shape, FOSJOAS manufacture products with integrity. From the standpoint of its customers, firmness, durability, intelligence and price are key points to determine a good product. FOSJOAS V2 electric two wheeled scooter offers four types of motor for choice. The world-leading intelligent chip coordinates the interaction between the scooter and its rider. The quality maglev motor prolongs the service life of V2. The light-weighted but durable materials make it irresistible for customers. It is surprising that with such top-level configuration, V2 is quite reasonably priced. No wonder it has caused such a stir in the market. In many test ride reports, customers unanimously agree that V2 is good value for money. After purchasing and using V2, some even think that its value outweighs its price. In fact, FOSJOAS twin wheel electric scooters V2 is not a leader among all FOSJOAS products, but it is a product with distinctive personality.